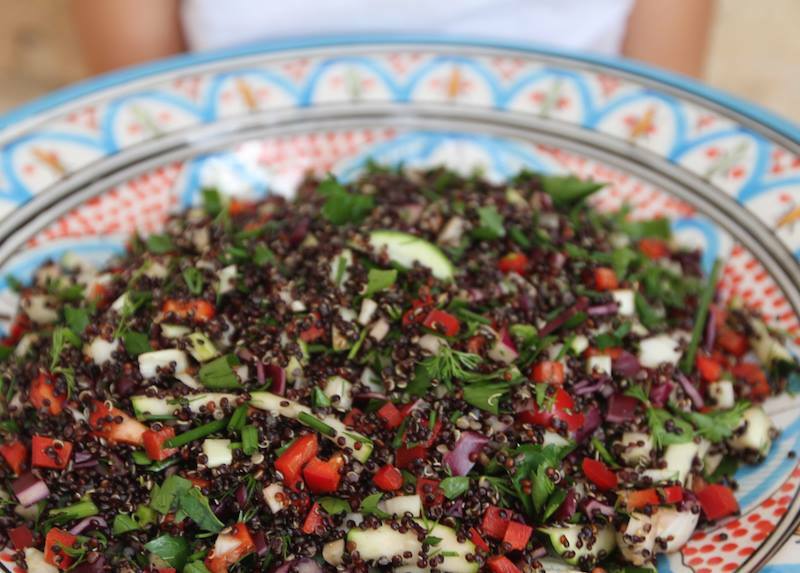 First cook your quinoa and set aside and let them cool of. Then chop all your herbs,red pepper, zucchini, fennel and onion. Mix all the ingredients in a big bowl and season with lemon, salt and pepper. This will make a big salad and you can keep it in the fridge for the next days lunch as well.